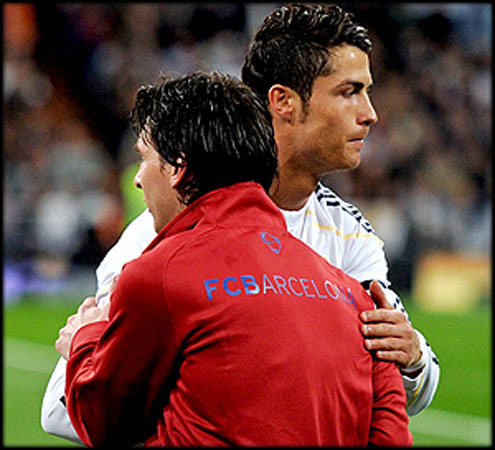 ﻿ Messi: "Xavi, Iniesta and Cristiano Ronaldo are some of the best players in the World"
13.09.2011 » Messi: "Xavi, Iniesta and Ronaldo are some of the best in the World"
Lionel Messi recently spoke to an Argentinian media press, where he not only approached topics exclusively related to Barcelona, but also mentioned Cristiano Ronaldo and José Mourinho. Messi believes he's very lucky for having the chance to play with Xavi and Iniesta, who are alongside with Cristiano Ronaldo, some of the best players in the World. Lionel Messi: "I wouldn't trade Barcelona for anything in the World. I enjoy being part of this club. ", confessed the Argentinian player when questioned about the possibility of switching to a different club and facing a new challenge in his life. 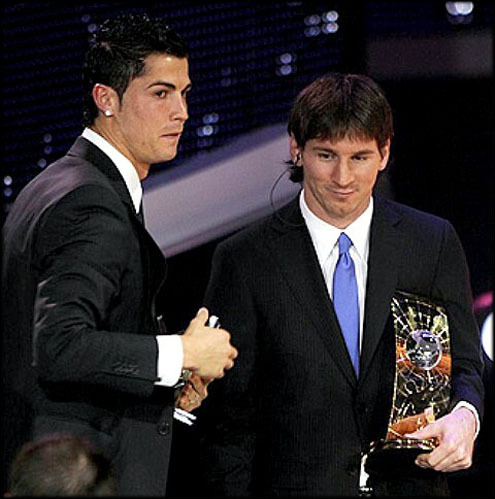 Many critics keep pointing the fact that Messi never proved himself outside Barcelona as one of the reasons why Cristiano Ronaldo should remain being regarded as a more complete and versatile player. Messi is aware that he wouldn't find a team where he fits so well as he does in Barcelona, and he's very grateful for having the opportunity to play with Xavi and Iniesta in the same team. Messi: "I really appreciate having the chance to play with both Xavi and Iniesta in Barcelona. 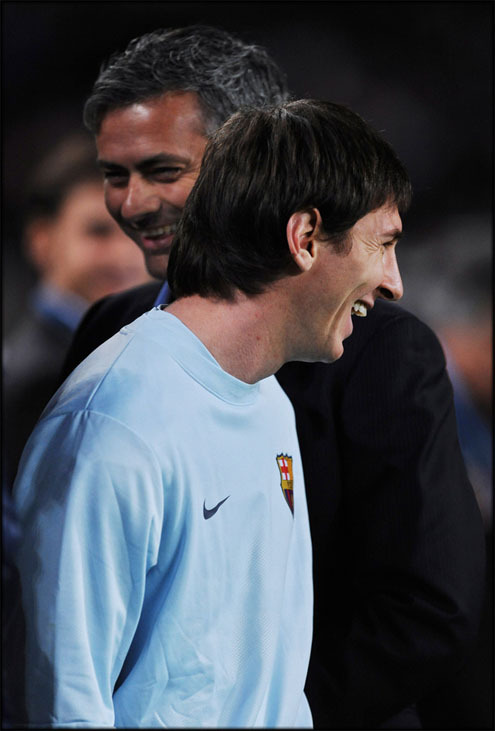 However, I also believe that Barcelona wouldn't be the same team if we didn't have our current coach, Pep Guardiola." After reffering to Cristiano Ronaldo and his Barcelona teammates, Xavi and Iniesta, Lionel Messi talked about the tremendous rivalry between Real Madrid and Barça. 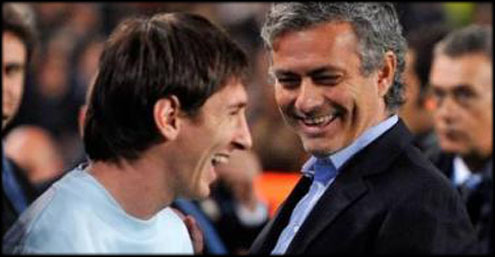 Messi pointed his finger to José Mourinho, as one of the persons to blame for the aggressive and violent atmosphere lived in the periods when an "El Clasico" match between Real Madrid and Barcelona approaches. 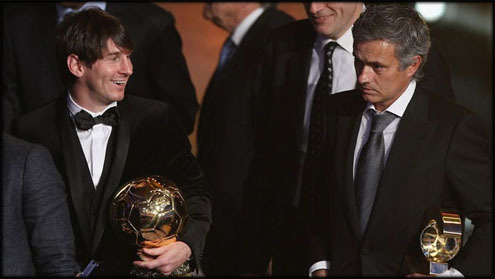 Messi: "We try not to pay attention to what José Mourinho says, but sometimes, it's what he does and the way he talks that ends up by upsetting and annoying us." 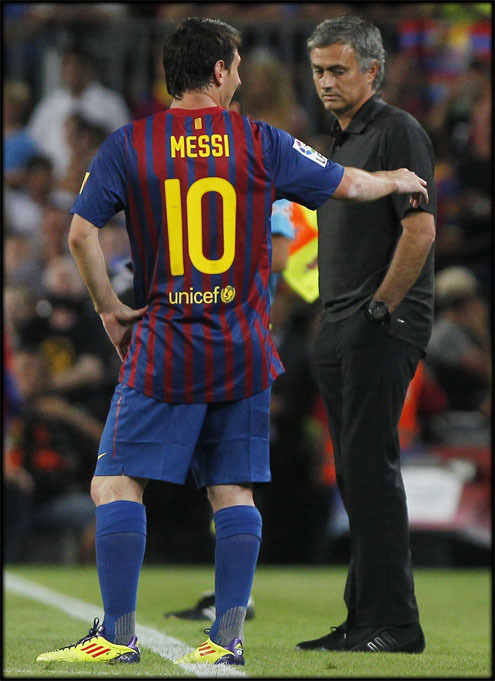 José Mourinho has left several accusations in the past, that a few Barcelona staff members keep having an hypocritical attitude regarding several matters that are brought up to discussion and he continuously refuses to play that game. 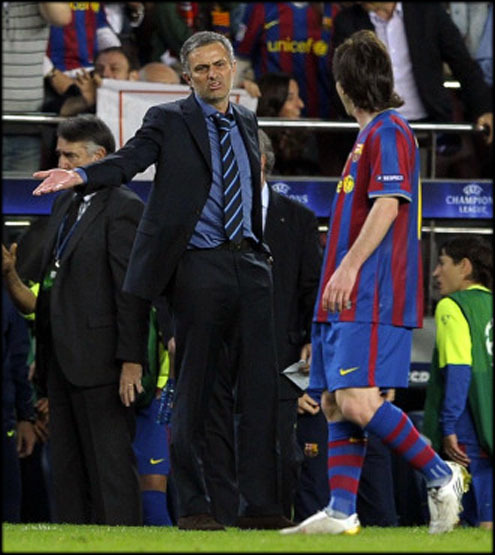 Mourinho is known for always speaking straight and honestly during his press conferences and that seems to keep tickling a few Barcelona players sensibility, as Lionel Messi just reckonized. 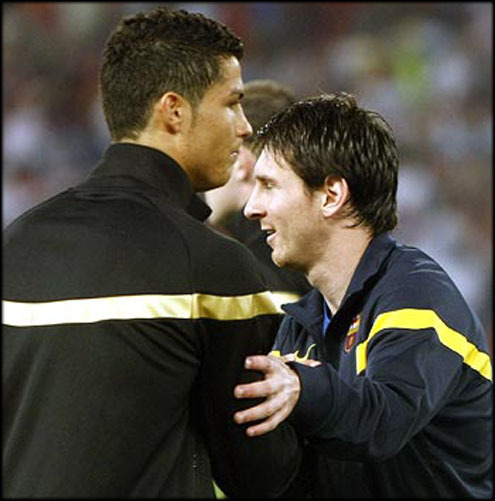 Before ending the interview, Lionel Messi approached another topic on which Cristiano Ronaldo is also often connected: The poor performance when representing their National Teams. Messi defends himself: "It's a mistake to even try to compare Barcelona to Argentina. It's not by chance that Barcelona is regardaded as the best football club in the World. What happens in Argentina, is that I'm forced to play more backward than usual and I end up by losing influence in the game." This fact just helps supporting the thesis that Messi's potential in any other club than Barcelona could drastically drop down if he ever decides to leave the Blaugrana. Regarding Cristiano Ronaldo, the Portuguese player has already proved he can be a key and decisive figure in both the English Premier League and Spanish League, representing Manchester United and Real Madrid respectively. We would like to invite you to check out one of our new services, on which you may book and buy Real Madrid tickets for their games during this season, in both La Liga and the UEFA Champions League fixtures: Buy Real Madrid tickets 2011-12 page. You can also watch Barcelona vs AC Milan live stream tonight, in our a new section we opened this week. Real Madrid next opponent is Dinamo Zagreb for the UEFA Champions League debut this season, in the 14th of September. You can watch Dinamo Zagreb vs Real Madrid live stream, in our Live Games Streams page. Cristiano Ronaldo will most likely be a starter. The countdown clock timer, displaying the time left for the next CR7 game, is shown on the top right corner of all pages. 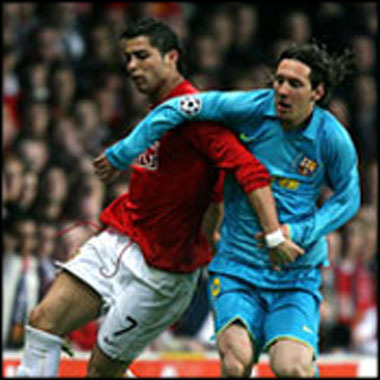 You can also watch Benfica vs Manchester United free live stream and Barcelona vs AC Milan online live stream, in our dedicated live streams pages.